Rachel Leone is president of Leone Marketing Solutions, a promotional products and apparel firm based in Hingham. Leone Marketing has been in business for 14 years and is 100% women owned and certified by the state of Massachusetts. For over two decades she has helped startups, small businesses and Fortune 500 brands stand out in the crowd with promotional products, premiums and gifts that create awareness and attract attention. Prior to founding Leone Marketing Solutions, Inc. in 2004, Rachel served for more than 15 years as a marketing executive for top Massachusetts companies, including cable TV, phone, and Internet provider RCN Corporation, creative agency Arnold Direct (a division of Arnold Worldwide), and Dickson Direct (now Protocol Communications). She has managed numerous large‐scale marketing and sales budgets, including a $17 million annual marketing budget for RCN, where she launched several new products generating $130 million in revenue. Under Rachel’s seasoned leadership, Leone Marketing Solutions, Inc. has created successful marketing plans and strategies, public relations plans, customer service and sales training programs, and events planning initiatives for a variety of businesses, organizations, and agencies. A sampling of our clients includes BELD Broadband (Braintree Electric Light Department), Cabot Creamery Cooperative, Cambridge Savings Bank, The Forsyth Health Institute, Nantucket Wine Festival, Spindrift, New England Dairy and Promotional Board, and Hingham Light. Her experience, insight, and attention to detail make Rachel a valued leader in her clients’ marketing and events planning efforts. Rachel earned her Master of Business Administration degree from Suffolk University’s Sawyer School of Management and her undergraduate degree in Communications from Boston University’s College of Communication. She is committed to lifelong learning and attends continuing education seminars on an ongoing basis. 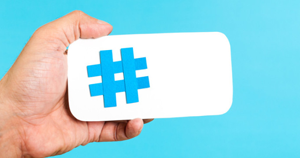 Hashtags: What Are They, Why Use Them? 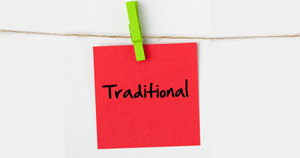 Are hash tags part of your marketing strategy? If not, they should be! You’ve seen them everywhere – on billboards, commercials, baseball hats and t-shirts. But, maybe you’re wondering what a hashtag really is. Here’s my definition. A hashtag is simply a word or phrase prefixed with the # sign. OK, so why the # sign? 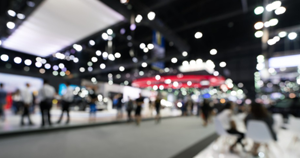 I’d like to share some tried and true trade show secrets with you. My goal is that you get the most out of your trade shows experience this year and maximize your ROI! Let’s begin! If you look at what you have in life, you'll always have more. Rachel Leone is fantastic. Her ideas, professionalism, and speed have brought us many fun and important products to assist in our brand building; both externally and internally. My team and I have worked with her on many projects, and will continue to do so. I highly recommend Rachel Leone. Rachel has assisted BELD with a wide variety of projects for many years--she's always been a willing partner who jumps right in on every opportunity. She does everything she can to meet our often tight deadlines and is available no matter what the task. We appreciate everything Rachel continues to do for us! I've worked with Rachel for 10 years and have been continually impressed with her ability to problem solve, implement creative strategies and manage a team. Rachel provides support to our marketing agency and offers valuable recommendations that fit best with our needs.